Video can be a powerful tool to help attract and convert leads, to close prospects, and delight your customers. But for your videos to be effective, they must be contextual, focusing on each stage of the Buyer’s Journey. 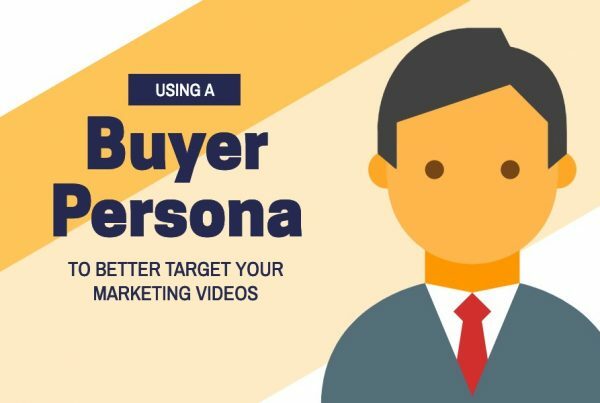 We’ve got a list of 16 ways to use video within each step of the Inbound Sales and Marketing Methodology to turn strangers into customers and ultimately promoters of your brand. 1. Videos to Supplement Blog Posts: Increase the quality and comprehensiveness of your posts with video, and the engagement and search rankings will follow. Use video to provide examples or demonstrations of any concepts discussed in your posts, as a supplement but not a replacement for the other text and images. 2. Videos for Social Media: Only videos that are entertaining, informative, or emotional get shared, and you can’t go wrong with telling a good story. 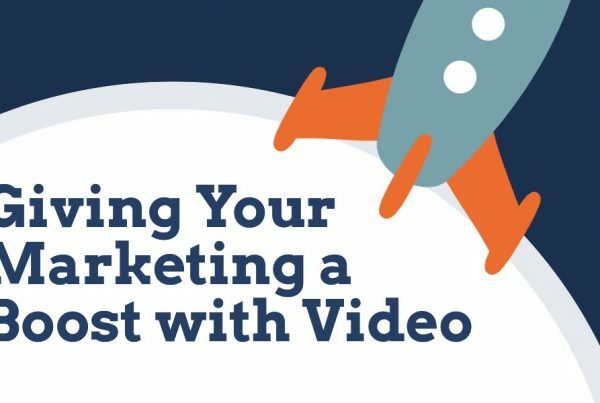 Be sure to produce videos that are platform specific, with the content, length, and call-to-action being tailored for each social media channel. 3. Videos for Youtube Optimized for Search: If targeting search engine traffic is your goal, then a well-planned and long-term YouTube strategy may be worth the investment. As with other social media channels, consider best practices for the platform and don’t be promotional. People search for videos that help with specific problems, that are informative, or entertaining. 4. Trade Show Videos: Attract potential leads to your booth with an engaging trade show video presentation. Shorter, looping videos work best which don’t rely heavily on sound or narration, since you’ll likely need to play it on mute. 5. Landing Page Explainer Videos: Video can explain the benefits of your product, service, or other offering like an ebook or webinar, in ways that text and images simply can’t, helping you increase conversion rates from the existing traffic to your home page or landing page. Use A/B testing to optimize for things like the video thumbnail, calls-to-action, and even its placement on the page, in order to maximize results. 6. Email Newsletter Videos: Including videos in an email newsletter is a proven way to increase both open rates and click-through rates, and using the word “video” in your subject line can increase email open rates as well. Use a large thumbnail from your video, above-the-fold, and this should to your website where the video then plays automatically, since you can’t yet reliably embed video directly in an email. 7. Video Webinars: Live webinars can be recorded and posted to your website to be re-used in the future. Using email gating at the beginning or part-way, requiring viewers to submit their email address before they can watch the rest of the video is a great way to capture leads. 8. Cusomer Testimonials & Case Study Videos: Let prospects hear first-hand from your past customers with testimonial videos. Take it a step further with detailed case studies that tell an engaging story that resonates and helps you close the deal. 9. Product Demonstration Videos: Automate those repetitive software demos with screen capture videos, or show the results of your product or service first hand with a live action demonstration. 10. Video Voicemails: Add a personal touch with short, simple, but effective messages that your prospects will actually enjoy and will respond to. 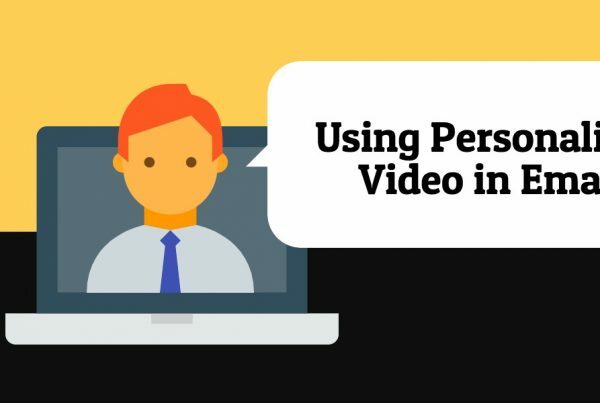 Video helps to build trust and rapport. 11. Company Overview or Staff Profile Videos: At this stage in the funnel, it’s finally time to turn the focus on you and your company. Demonstrate your culture, tell your story, and introduce some of the members of your team. 12. Sales Presentation Videos: Spice up that boring old slide deck with a video that will bring everyone in the boardroom to the edge of their seat. Unlike on the web, when you’ve got a captive audience you can afford to make it a little longer, but keep it relevant and engaging. 13. Customer On-Boarding Videos: Surprise and delight your new customers with a series of on-boarding videos that help set them up for success. Bonus points if you can automate this as part of a drip email campaign. 14. Personalized Video Messages from Staff: Take your new customer on-boarding to another level with a personalized video from your staff. This doesn’t have to be fancy or high-budget, and sometimes just being authentic can go a long way. 15. FAQ Videos: If you find yourself answering the same questions over and over, there’s no better way to explain it once and for all but in a series of FAQ videos to supplment a new FAQ section on your website. 16. Holiday E-Card Videos: Show your customers, staff, and partners that you care with authentic, fun, and entertaining holiday video e-cards. Like with personalized video messages, these don’t have to be Hollywood productions. In fact, a simple but authentic and fun message will stand-out much better than one created using those online templates that we’ve all received one too many times. 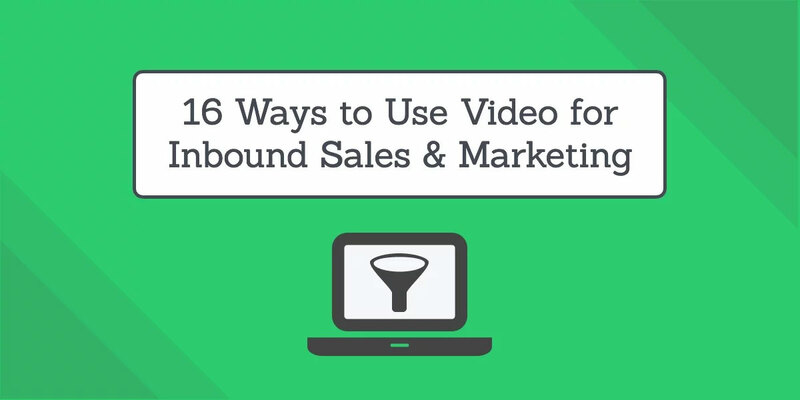 Download our Inbound Video Sales & Marketing cheat sheet below for your own copy of this entire list!